On the morning of April 8, the delegation from the University of Orleans, France, led by the President Mr. Ary Jean Michel Bruand and also consisting of Vice President Mr. Luigi Andre Agrofoglio and Doctor Chen Yan, paid a visit to CSU to have a further discuss on setting up a Confucius Institute at University of Orleans. The leaders of CSU, including Yi Hong, the Secretary of CPC Committee, Zhou Kechao, the Vice President, and heads of the Department of Personnel and the Office of International Cooperation and Exchanges, welcomed the guests at Conference Room I in Building No.1. Yi Hong noted that China-France friendship has been further deepened owing to Chinese President Xi Jinping’s recent visit to France and that CSU and the University of Orleans share similar disciplines and institutions, which indicates solid foundation and broad space for cooperation, and hoped that the two sides will promote their cooperation in all aspects by taking the Confucius Institute to be built as a platform. Mr. Ary Jean Michel Bruand appreciated the efforts that CSU has made in setting up the Confucius Institute. 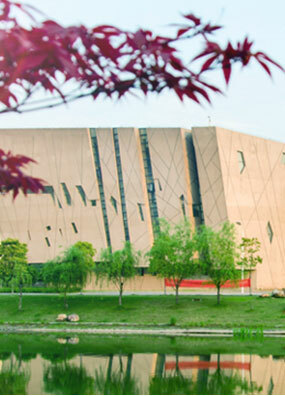 According to him, although this is their second visit, a close relationship has been fostered between the two universities; both sides will take the Confucius Institute to be built as an opportunity to carry out in-depth cooperation in faculty training, student exchanges, scientific research cooperation, cultural exchanges, etc. During the meeting, both sides discussed and reached a consensus on the implementation agreement, council members, start-up capital, president candidates, internal organizations, staffing, curriculum provision and opening ceremony of the Confucius Institute. The Confucius Institute at University of Orleans will be opened on July, 2019 and a large-scale cultural exchange activity between teachers and students of both China and France will be held in October, 2019. After the meeting, the delegation discussed the candidates for the Chinese president and Chinese teachers of the Confucius Institute, including Chinese teaching at the Confucius Institute.